Michael Moorcock was born in London in 1939 and the landscape of London, particularly the area of Notting Hill Gate and Ladbroke Grove, is an important influence in some of his fiction (cf. the Cornelius novels). He began writing whilst he was still at school, contributing to a magazine he entitled Outlaw's Own from 1950 on. In 1957 at the age of 17, Moorcock became editor of the Tarzan Adventures where he published at least a dozen of his own Sojan the Swordsman stories during that year and the next. At age 18 (in 1958), he wrote the allegorical fantasy novel The Golden Barge. This remained unpublished until 1980, when it was issued by Savoy Books with an introduction by M. John Harrison. At 19 years of age he also edited Sexton Blake Library (serial pulp fiction featuring Sexton Blake, the poor man's Sherlock Holmes) and returned to late Victorian London for some of his books. Writing ever since, he has produced a huge volume of work. His first story in New Worlds was Going Home (1958; with Barrington J. Bayley). 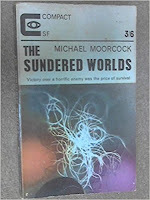 The Sundered Worlds, a 57-page novella published in the November 1962 number of Science Fiction Adventures edited by John Carnell, became the basis for his 190-page paperback debut novel three years later, The Sundered Worlds. Moorcock replaced Carnell as New Worlds editor from the May–June 1964 number. Under his leadership the magazine became central to New Wave science fiction. This movement promoted literary style and an existential view of technological change, in contrast to hard science fiction, which extrapolated on technological change itself. Some New Wave stories were not recognisable as traditional science fiction, and New Worlds remained controversial for as long as Moorcock edited it. Most of Moorcock's earlier work consisted of short stories and relatively brief novels: he has mentioned that "I could write 15,000 words a day and gave myself three days a volume. That's how, for instance, the Hawkmoon books were written." Over the period of the New Worlds editorship and his publishing of the original fantasy novels Moorcock has maintained an interest in the craft of writing and a continuing interest in the semi-journalistic craft of "pulp" authorship. This is reflected in his development of interlocking cycles which hark back to the origins of fantasy in myth and medieval cycles (see Wizardry and Wild Romance – Moorcock & Death Is No Obstacle – Colin Greenland for more commentary). This also provides an implicit link with the episodic origins of literature in newspaper/magazine serials from Trollope and Dickens onwards. None of this should be surprising given Moorcock's background in magazine publishing. 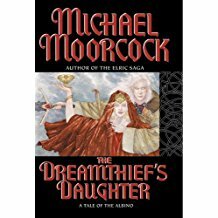 Since the 1980s, Moorcock has tended to write longer, more literary "mainstream" novels, such as Mother London and Byzantium Endures, but he continues to revisit characters from his earlier works, such as Elric, with books like The Dreamthief's Daughter or The Skrayling Tree. With the publication of the third and last book in this series, The White Wolf's Son, he announced that he was "retiring" from writing heroic fantasy fiction, though he continues to write Elric's adventures as graphic novels with his long-time collaborators Walter Simonson and the late James Cawthorn (1929–2008). Together, they produced the graphic novel, Elric: the Making of a Sorcerer, published by DC Comics in 2007. He has also completed his Colonel Pyat sequence, dealing with the Nazi Holocaust, which began in 1981 with Byzantium Endures, continued through The Laughter of Carthage (1984) and Jerusalem Commands (1992), and now culminates with The Vengeance of Rome (2006). Among other works by Moorcock are The Dancers at the End of Time, set on Earth millions of years in the future, and Gloriana, or The Unfulfill'd Queen, set in an alternative Earth history. He was an original member of the Swordsmen and Sorcerers' Guild of America (SAGA), a loose-knit group of eight heroic fantasy authors founded in the 1960s and led by Lin Carter, self-selected by fantasy credentials alone. Moorcock was the subject of two book-length works, a monograph and an interview, by Colin Greenland. 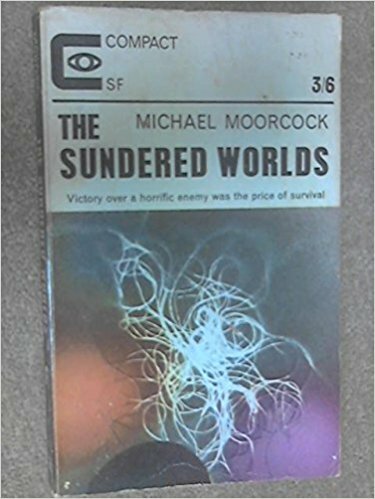 In 1983, Greenland published The Entropy Exhibition: Michael Moorcock and the British 'New Wave' in Science Fiction. He followed this with Michael Moorcock: Death is No Obstacle, a book-length interview in 1992. The Science Fiction and Fantasy Hall of Fame inducted Moorcock in 2002, its seventh class of two deceased and two living writers. He also received life achievement awards at the World Fantasy Convention in 2000 (World Fantasy Award), at the Utopiales International Festival in 2004 (Prix Utopia), from the Horror Writers Association in 2005 (Bram Stoker Award), and from the Science Fiction and Fantasy Writers of America in 2008 (named its 25th Grand Master). Moorcock is the former husband of Hilary Bailey. He is also the former husband of Jill Riches, who later married Robert Calvert. She illustrated some of Moorcock's book covers, including the Gloriana dustjacket. In the 1990s, he moved to Texas in the United States. His wife Linda is American. He spends half of the year in Texas, the other half in Paris. He is also a successful recording musician, contributing to the band Hawkwind, and his own project. Because many of his works are interlinked, it is hard to recommend particular books. Both the publishers Barnes & Noble and Gollancz have blog posts suggesting where to start, and the Multiverse has a useful index.